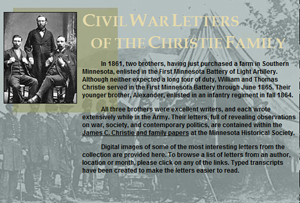 In December 2010 the Minnesota Historical Society published a collection of these letters — Hampton Smith, Brother of Mine: The Civil War Letters of Thomas and William Christie (2010). “The letters are so engaging that one longs for more,”as a review in the Minneapolis – St. Paul Star Tribune notes. You can read the full review here. On July 2, 1863 at 5:40AM Isaac Taylor recorded in his diary that his regiment, the First Minnesota Volunteer Infantry Regiment, had arrived at Gettysburg. “Order from Gen. [John] Gibbon read to us in which he says this is to be the great battle of the war & that any soldier leaving ranks without leave will be instantly put to death,” as Taylor noted. By the end of the day 215 of the 262 soldiers in the regiment had been killed or wounded. While Isaac died, his brother, Patrick Henry Taylor, made it out of the battle without injury. After Patrick buried his brother, he added the final entry to the diary – Isaac had been “killed by a shell about sunset” and his grave was located “[about] a mile South of Gettysburg.” Four other Taylor brothers also served in other Union regiments during the Civil War. While Jonathan (Second Minnesota Battery of Light Artillery), Danford (Twelfth Illinois Cavalry), and Samuel (102nd Illinois Infantry) survived the war, Judson was in Company K of the Eleventh Illinois Cavalry when he died at Vicksburg on December 1, 1864. Isaac’s Taylor’s diary was published in the Minnesota History Magazine in 4 sections. You can download them as a PDF file: Part 1 ; Part 2 ; Part 3 ; Part 4. 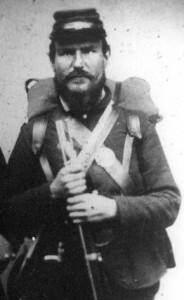 Several historians have studied the First Minnesota Volunteer Infantry, including John Quinn Imholte’s The First Volunteers; History of the First Minnesota Volunteer Regiment, 1861-1865 (1963), Richard Moe’s Last Full Measure: The Life and Death of the First Minnesota Volunteers (1993), and Brian Leehan’s Pale Horse at Plum Run: The First Minnesota at Gettysburg (2004). You can read another account of the regiment’s actions in James A. Wright’s No More Gallant a Deed: a Civil War Memoir of the First Minnesota Volunteers (2001). After Confederates shelled Fort Sumter on April 12, 1861, President Abraham Lincoln called for volunteers to restore order. Many northerners responded and rushed to create volunteer regiments. 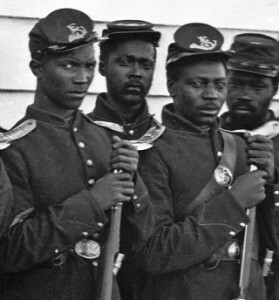 Yet when African Americans offered to serve, northern officials turned them down. After Ohio Governor William Dennison denied a request, the Cleveland Herald called his decision “eminently proper.” While the Herald did not want to “impugn the motives of those…who wish to raise military companies,” the editor believed that “the enlistment of colored troops would dampen, if not kill, the ardor of the masses now rushing to arms.” The Herald was also concerned that such action “would embitter the present contest and render utterly hopeless any prospect of peace.” Two years later, however, the War Department authorized the creation of the United States Colored Troops. Within months new USCT regiments were participating in battles, including those at Milliken’s Bend and Fort Wagner. The Cleveland Herald joined other northern newspapers which changed their editorial stance on African Americans in the military and even supported the call for USCT troops to receive pay equal to white soldiers. After Congress passed the necessary legislation in 1864, the Herald noted that “this simple act of justice has been quite too long delayed.” Joseph T. Glatthaar’s Forged in Battle: The Civil War Alliance of Black Soldiers and White Officers (1990), Howard C. Westwood’s Black Troops, White Commanders and Freedmen During the Civil War (1992), and John David Smith’s Black Soldiers in Blue (2002). You can read other excerpts from McDonald’s diary on Google Books. Kate Stone was twenty-years-old when Fort Sumter fell to Confederate forces. She was thrilled. Stone was an ardent southern nationalist from Louisiana who lived on a large plantation (Brokenburn) with many slaves and an extended family, including at least two brother who would die in the Confederate army. 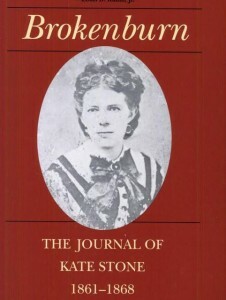 Within a month after Sumter, Stone began a diary the she kept for seven years. The material was full of biting insights and wise comments. Stone lived through General Ulysses Grant’s Vicksburg Campaign in 1863 and feared the arrival of black troops into the region. 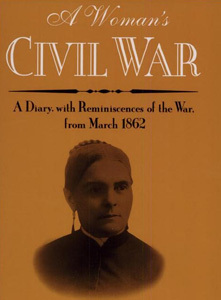 After African Americans entered military service, Stone argued that “the Paternal Government at Washington has done all in its power to incite a general insurrection throughout the South, in the hopes of thus getting rid of the women and children in one grand holocaust.” She and her family fled to Texas in 1863 and lived there until the end of the war. The young plantation mistress was suitably unimpressed by Texans and frontier life. Stone’s sardonic tone appeared frequently in her journal and sometimes was especially hardened. Following Lincoln’s assassination, she remarked on her satisfaction at his fate. “All honor to J. Wilkes Booth, who has rid the world of a tyrant and made himself famous for generations,” she wrote. Stone returned to Brokenburn –which had been devastated by the war—helped rebuild the place, married in 1869 and lived until 1907. When her diary was published in 1955, it was to wide acclaim, hailed by critics such as Edmund Wilson and by crowds –an estimated 10,000 folks in Louisiana including her 77-year-old daughter (who lived until 1972) and has since become regarded as a Civil War classic, though it is not as well known and familiar as Mary Chesnut’s diary. Don’t Miss This Neo-Confederate Video! There is a video on the YouTube channel of the Georgia Division of the Sons of Confederate Veterans (SCV) that offers a classic teaching moment. The video, entitled “Sesquicentennial Celebration,” urges those about to honor the 150th anniversary of the “War for Southern Independence” to remember what the SCV claims the war was really about. From their perspective, brave southerners fought to defend “their homes and families” against “an aggressive northern invasion.” The narrator proceeds to touch upon almost all of the elements of the “Lost Cause” or Neo-Confederate argument –the “insurmountable odds” of the fight, the battle over home and hearth (not slavery), the heroic leadership of figures such as Robert E. Lee, and the tyrannical tendencies of Lincoln and the northern government. My thanks to Matt Karlsen who first notified me about Kevin Levin’s post on this video at his well-regarded Civil War Memory blog. In late October 1860 the (Montpelier) Vermont Patriot confidently predicted that Senator Stephen Douglas would win Illinois’ electoral votes. “Illinois has never yet voted against the Democratic party for President,” as the Vermont Patriot noted. Democratic papers like the Vermont Patriot argued that voters had to support Douglas in order to remain “high above the surges of fanaticism.” This election, as the Springfield (IL) State Register explained, would result in either “harmony between the States or discord and civil war.” Yet on election day in 1860 Illinois went for the Republican ticket, Abraham Lincoln and Hannibal Hamlin. 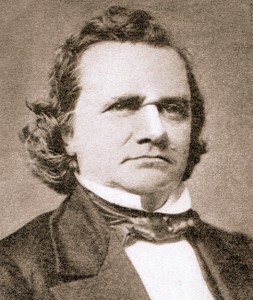 The Vermont Patriot would later describe the 1860 contest as “a Presidential election without a parallel.” You can learn more about Stephen Douglas and the 1860 election in Robert Walter Johannsen’s Stephen A. Douglas (1973) and James L. Huston’s Stephen A. Douglas and the Dilemmas of Democratic Equality (2007). On July 30, 1864 Confederate cavalry under General John McCausland’s command entered Chambersburg, Pennsylvania and demanded that residents pay $500,000 in greenbacks or $100,000 in gold. Confederates planned to use the money to compensate Virginia residents whose homes in the Shenandoah Valley were burned by Union General David Hunter’s troops. 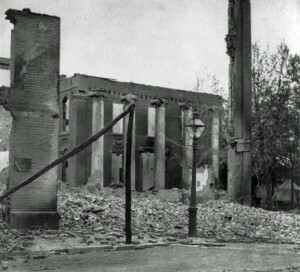 After Chambersburg residents refused to pay, General McCausland followed General Jubal Early’s orders and burned the town. (this map shows which sections of the town were burned). General McCausland’s forces left the following day with Union cavalry in pursuit. Philadelphia resident Sidney George Fisher heard about the attack on August 1st. 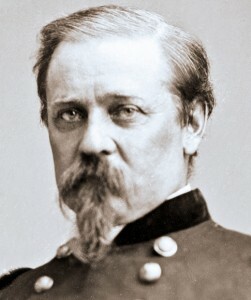 Confederates, as Fisher noted, had “set fire to the place without giving the people time to carry anything away.” Fisher believed that the Confederate actions were the results of the “prolonged” conflict. “The barbarous act shows what a bitter spirit is animating the contest,” as Fisher explained. 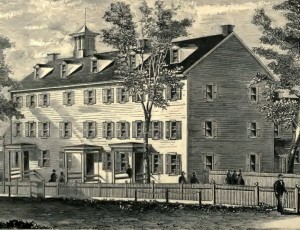 The Bangor (ME) Whig and Courier, a Republican paper, also expressed “[sympathy for] the suffers at Chambersburg.” Yet “if the atrocious outrage shall awake Pennsylvania to the performance of duties she has long and shamefully neglected in her own defense,” the editor argued that this incident “will in the end prove to be one of the greatest blessings which has been vouchsafed us since the war began.” You can learn more about this attack in Benjamin Schneck’s The Burning of Chambersburg (1864) and Everard H. Smith’s “Chambersburg: Anatomy of a Confederate Reprisal,” American Historical Review (1991). On Thanksgiving day in November 1863 two children whose fathers were killed during the Civil War went to the executive mansion in Harrisburg, Pennsylvania and asked for food. Apparently this experience inspired Governor Andrew Curtin to ask the Pennsylvania legislature to establish an organization to care for orphans of Union soldiers. While legislators did not appropriate the necessary funds, they accepted a private donation to set up an institution whose mission was “the education and maintenance of destitute orphan children of deceased soldiers and sailors.” Children remained in the system until age sixteen – for example, see this list of “Sixteeners” who left in 1877. Schools were set up in communities across the state, including the White Hall School in Camp Hill. Professor David Denlinger opened the school in May 1866, but he quickly ran into trouble. As “the building was…unsuitable for a school of this kind,” James Laughery Paul explains that that “typhoid fever prevailed to an alarming extent in the fall of 1867 and quite a number of deaths occurred.” While the school closed in 1890, alumni returned to Camp Hill in 1926 and dedicated a monument in Willow Park (located at intersection of 24th & Walnut Streets). You can learn more about the organization in James Laughery Paul’s Pennsylvania’s Soldiers’ Orphan Schools (1876), the 1877 and 1909 Annual Report of the Superintendent of Soldiers’ Orphans, and William Henry Egle’s Andrew Gregg Curtin: His Life And Services (1895). A historical marker is located at the intersection of 31st Street and Market Streets in Camp Hill. You can read more about this battle in an essay on ExplorePAhistory.com, Robert Grant Crist’s article “Highwater 1863: The Confederate Approach to Harrisburg” (Pennsylvania History 1963), and in Wilbur Sturtevant Nye’s Here Come The Rebels! (1965).